Pickawood.com offers you high-quality, tailor-made furniture that anyone can afford. Many of our satisfied customers already have one of our custom shelving units. Take a look at our customer gallery for inspiration! Our custom shelving units are made using high-quality solid wood such as oak, beech and pine. As an alternative you can configure a shelving unit in the RAL colour of your choice. Thanks to the configuration facility you can design and order your unit online at low cost. 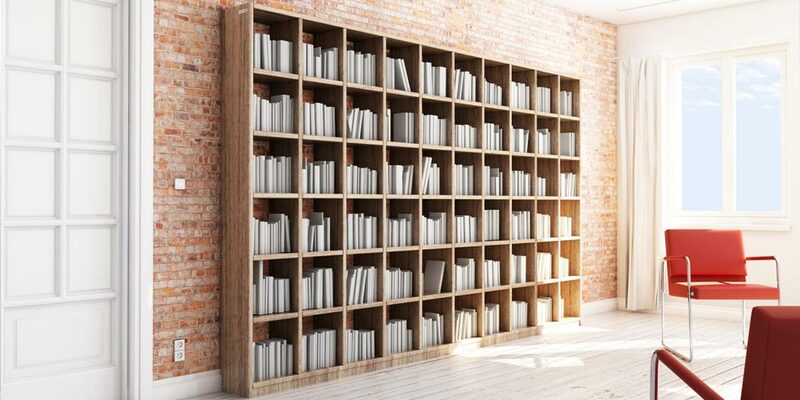 Design your own bookshelf - to the exact dimensions you wish. Choose from a range of solid woods or colours and find your own style. Complete shelving systems are particularly suitable for offices and for interior design in the home. Various function options are available such as doors and drawers. Bring the unique feel of a library to your home - create a space for the books that have accompanied you through your life. A chests of drawers is both a large shelf and a storage space at the same time. With Pickawood, all variations are possible. Whether you prefer doors or drawers, we will realise your vision. A room divider allows spaces to be defined - stylishly and functionally. They can serve as a visual highlight or simply provide storage space for your belongings. Stepped shelving offers flexible options for use under a staircase or under a sloping roof, or as a room divider. Give free rein to your imagination! Design your own wall-mounted shelf with our brilliant hidden mountings - choose from high-quality solid wood or a range of colours in MDF. Arrange these little cube-like shelves, in your choice of colour and dimensions, on your wall to create a unique design. Solid wood or MDF: the perfect choice for every taste. For our shelving units we use almost exclusively solid woods from the region - and no endangered timber species. We are dedicated to sustainable production and a high level of environmental awareness. MDF is a medium-density fibreboard that can be coated or painted - and is not to be confused with chipboard. Use our configurator to select your solid wood or MDF preference. You are also welcome to request up to four wood samples, free of charge, which we will send to your home. This will help you decide which solid wood goes best with your existing furniture and decor.